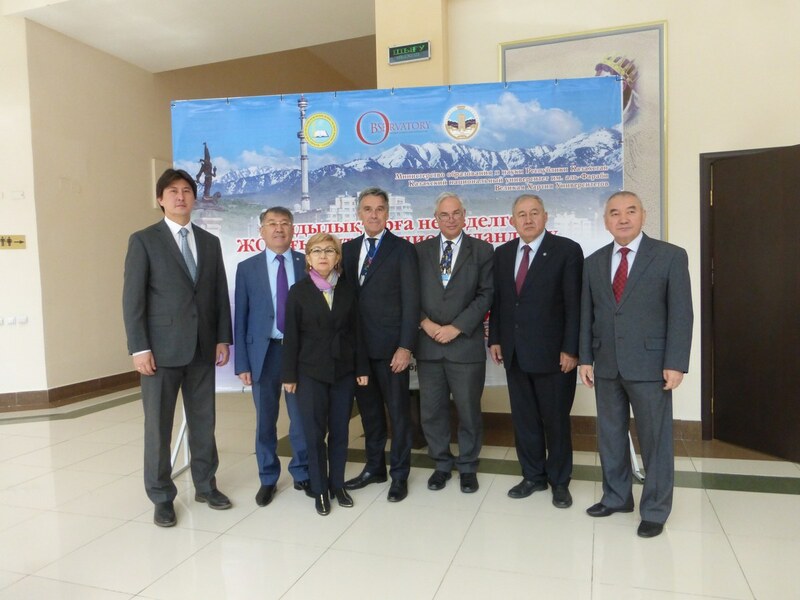 On 2 and 3 October 2017 the Magna Charta Observatory and the Higher Education Department of the Ministry of Education and Science of Kazakhstan delivered a workshop entitled ‘Achieving Internationalisation Ambitions in a Value Driven Way’ at Al-Farabi Kazakh National University Almaty in Kazakhstan. The purpose of the workshop was to enable Universities in the region to prosecute internationalisation strategies founded on the values set out in the Magna Charta Universitatum (MCU). 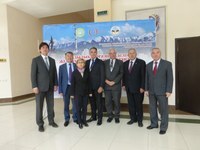 Universities from Kazakhstan, Tajikistan and Kyrgyzstan were represented, approaching 100 people in total. There are over 100 signatories of the MCU in the region. The workshop recognised that globalisation had changed universities. Internationalisation was no longer a ‘nice to have optional extra’. It was now driving the agenda in countries and universities. A tri-lingual language policy, investment in providing international learning experiences and investment in building capacity for multi-lingual teaching were examples. Over 30,000 students were studying in 3 languages. Partnerships with universities in other countries were becoming important for developing research capacity and some 900 international agreements were in place. There were over 600 joint programmes. International accreditation of programmes was also seen as necessary. For Kazakhstan the workshop was timely. Internationalisation was an explicit part of the President’s 2050 plan. Legislation was being put through the parliament to enable universities to operate more autonomously, thereby giving them more freedom to determine an internationalisation strategy that was right for their mission and region. Banu Narbekova, Head of the department of Methodology and Content of Higher and Postgraduate Education of the Ministry of Education and Science in Kazakhstan, set out the progress of the legislation and progress in other respects. 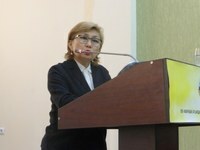 Kazakhstan would like to become a higher education hub and was establishing representative offices in other countries as a way of accelerating the achievement of its internationalisation strategy. 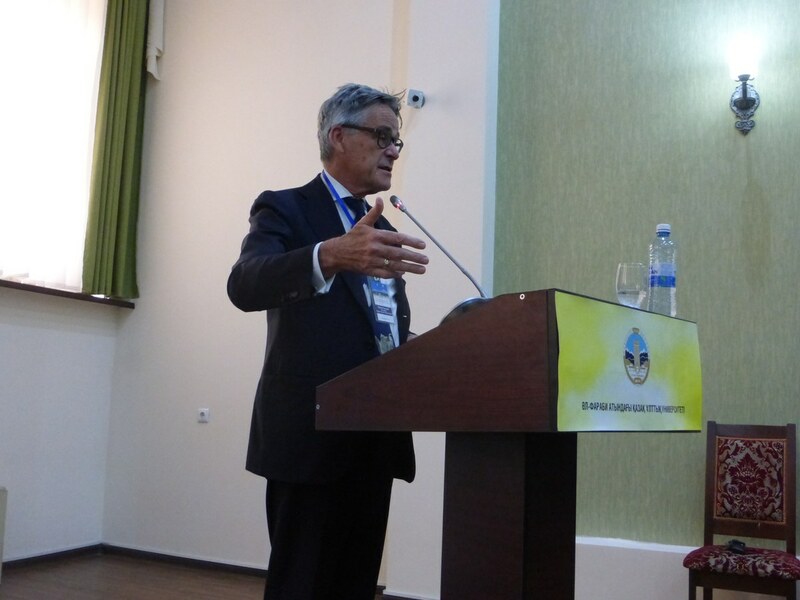 The Bologna process, which Kazakhstan had joined in 2010, was seen as important for achieving its international strategy and for up-grading standards of higher education and facilitating movement and other internationalisation. 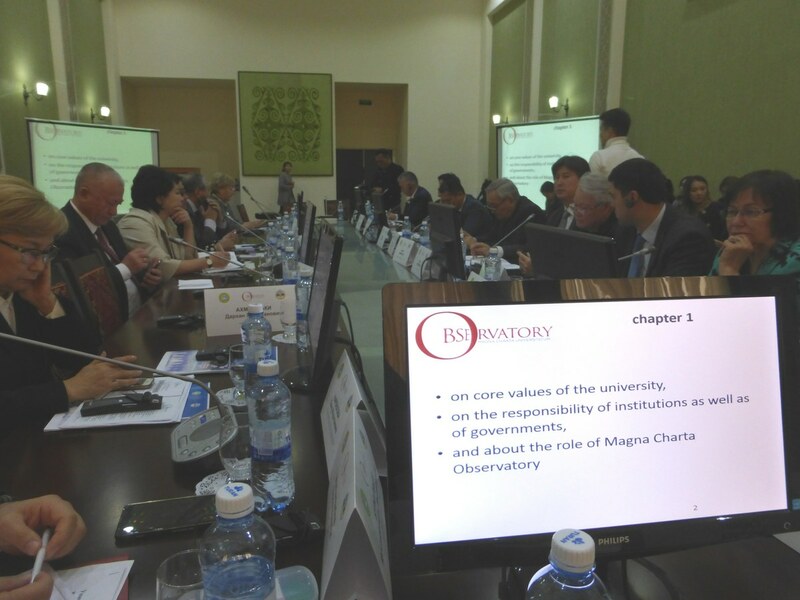 From the Observatory, the fundamental principles of the Magna Charta Universitatum were set out and practical examples given as to how they could inform internationalisation strategies and lead to sustainable partnerships. The Taraz declaration, signed in 2007, was an initiative which had come from Rectors in Kazakhstan. The independence of teaching and research from political and economic authority was considered vital. Much that is in the declaration also appears in the MCU. The significant of double degree programmes for internationalisation was stressed, along with the importance of the movement of staff and students. To monitor progress the OECD had reported on higher education in Kazakhstan in March 2017. This report found that while good progress was being made there was still much to do. Kazakhstan was addressing the issues. For example, greater academic autonomy had been granted and there was a greater amount of international interaction and movement. The local governance of universities was being strengthened and plans were being made for greater ‘democratisation’. The workshop contained examples of several initiatives which had been taken by universities in the region. The presentations give more details and are included in this site. Participants reflected in groups before the end of the workshop and identified actions for implementation back home. It is therefore anticipated that, as well as giving insight, the workshop helped participants to develop their intentions and that action will result. Al-Farabi Kazakh National University was a splendid host and the Ministry was an effective collaborator. The Observatory would be pleased to receive information about developments in the region which can be showcased on this site as a further contribution to the fundamental principles having value in practice.